From March 16 – 19, we were in Bologna at Cosmoprof, the Italian tradeshow for the global cosmetics industry and an important event for beauty professionals and decision makers. We went to Cosmoprof with a restyled brand identity, developed with the Amapola communication agency, to celebrate our company’s 50th anniversary. 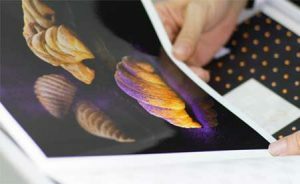 Our slogan “L’idea diventa colore” came to life in an intriguing photo gallery on our products, created by Giorgio Cravero, one of today’s best-known and most innovative still life photographers, whose many accolades include the Hasselblad Masters Awards 2016 in the “Product” category. The basic idea behind the project is the awareness that taking care of oneself helps improve self-esteem and build well-being, helping people enjoy feeling good. 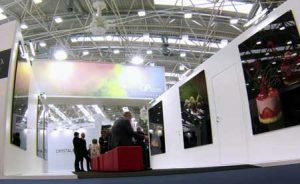 The monitors on the stand ran a preview of “Emotions”, the video produced by Amapola to take the viewer on an emotional journey through matter and Gi Picco’s core values: passion, a capacity for innovation, a vocation for creativity, absolute quality, attention to detail. 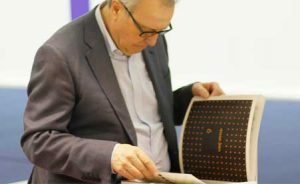 We also gave the clients and friends we met at the tradeshow the exclusive book created to mark the company’s 50th anniversary, with a series of prints from the photoshoot and a fascinating exercise in lettering. 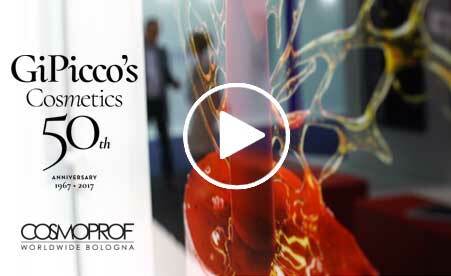 Our founder, Salvatore Inguaggiato, took the lead in a video report narrating the story of Gi Picco’s and its links with Cosmoprof. 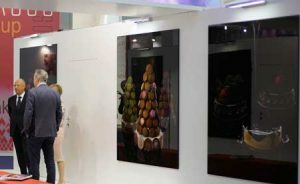 We have always taken part in the Bologna fair, and Salvatore is the only person who has attended every show, which this year celebrates its 50th anniversary, just like Gi Picco’s.